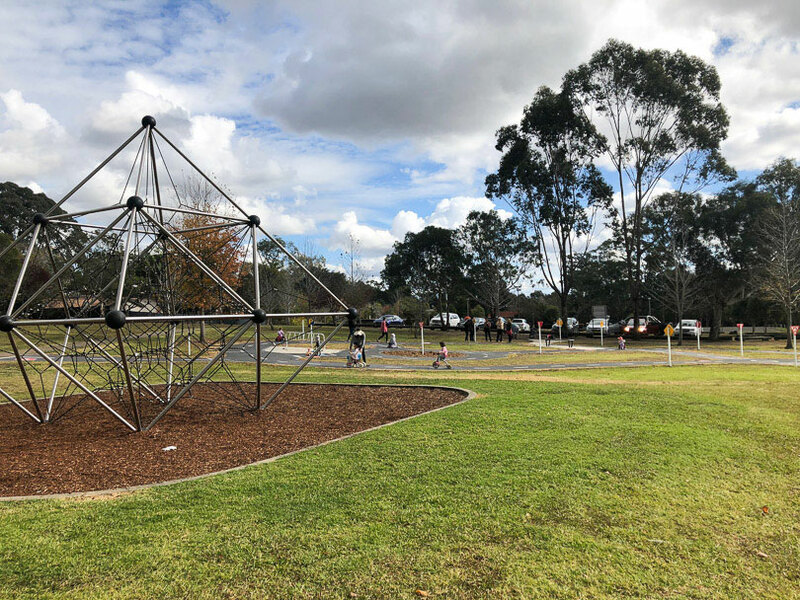 Coolong Reserve has always been a great park and playground for both younger kids and older ones. 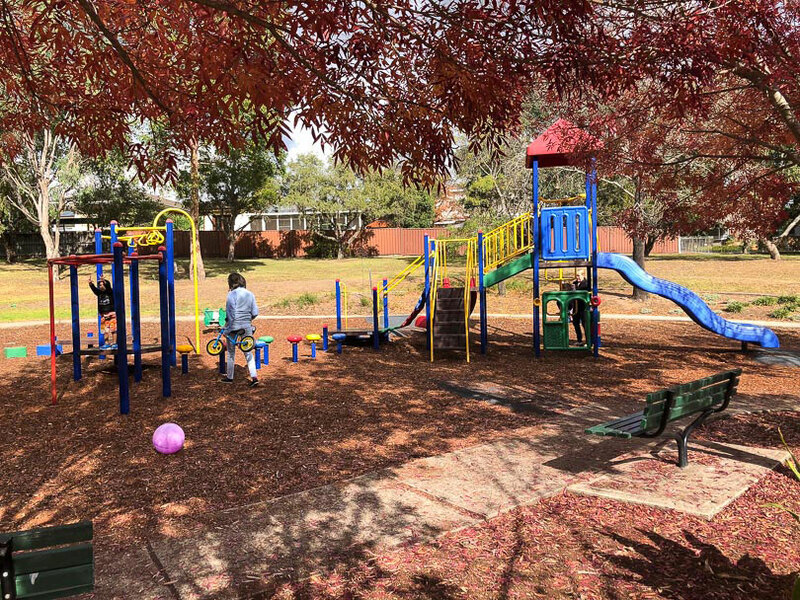 There’s play equipment, swings and a climbing frame and, while the park itself isn’t shaded, there’s shade from trees surrounding it. 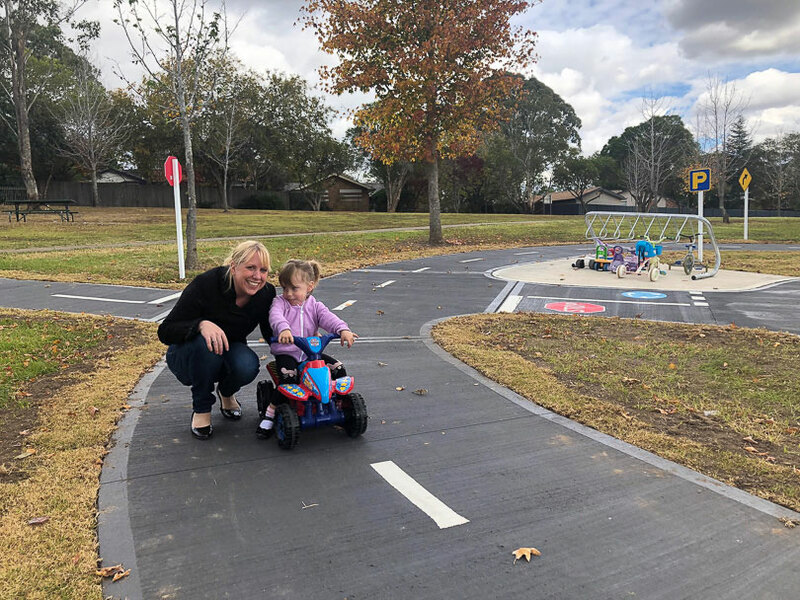 So when The Hills Shire Council announced that they were going to add a learn-to-ride track next to the playground it made total sense. The tracks incorporates pedestrian crossings, stop signs and roundabouts. It isn’t large but is great for learners, young children and scooter riders. Playground details: The park isn’t fenced but it’s set back quite a distance from the road. 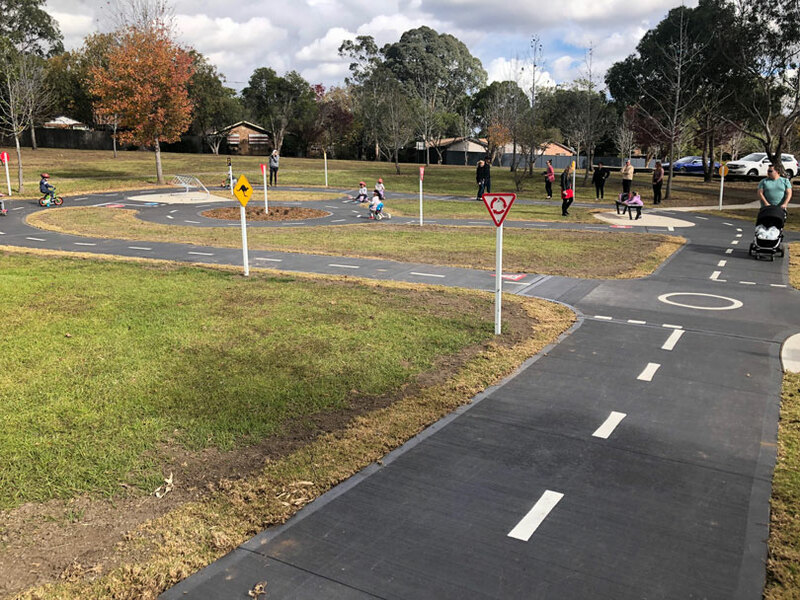 There are BBQ facilities, plenty of parking and lots of room to kick a ball and ride a bike if your child wants to branch out from the learn-to-ride section. The flooring under the playground is bark so wear enclosed shoes. There is a toilet (with a baby change table) located just across the carpark near the netball courts. 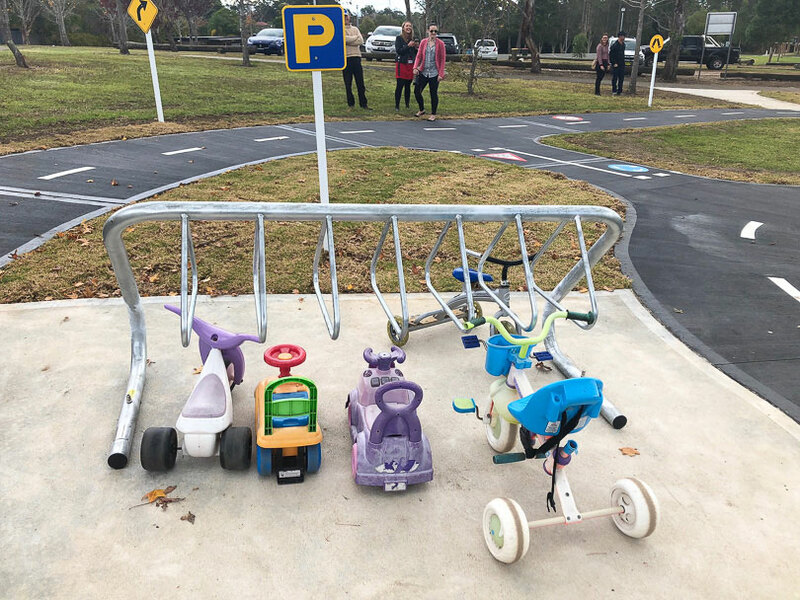 The netball courts are also a great place for kids to take their bike/scooter for a spin.